As the world enters the 5G era, Chinese companies have vigorously invested overseas. However, China's telecommunication equipment manufacturing industry and related industry sectors are increasingly facing enormous pressures from the US-led Western countries. From the ZTE case to the arrest of Huawei's chief financial officer, several countries have now frequently suggested banning Chinese 5G equipment from their network infrastructure. Those messages have raised eyebrows within China. But what attitude should we adopt in this situation? China must not lose faith. Developed countries such as US and Germany have now implemented stricter rules regarding foreign investment into their technology projects, which are seriously impacting Chinese technology enterprises and investors. In addition, Chinese technology companies have to pass higher thresholds when entering Western markets. Chinese public opinion has been fierce and vocal. Some believe that Chinese enterprises can develop well without needing to enter any international markets because the Chinese market is substantial enough. Another view wants these Chinese ventures to unite and fight back against outside repression. Others are more worried about the potential long term damage to telecommunications and related industries in China. While the world is about to embrace 5G era, Chinese telecom companies are confronted with more unwarranted roadblocks, distractions and political pressure. Chinese telecom companies will certainly lose some opportunities from this situation. In reality though, companies can learn from the situation and become more mature. In the 3G and 4G roll-outs, these developed nations did not feel threatened as China firms were not so strong and competitive, and so there was never any such blockade. But since 4G technologies were deployed, China has grown into a powerful player in the industry. Now, some Western nations are using their national strength and political tools to try and keep China down and squeeze out its companies from the global telecom business. The reason these Western governments are using non-market forces to suppress China is that Chinese firms are now much more competitive and stronger than they have been in the past. We have to remain confident in the telecom industry. It is vital for Chinese companies to participate in new 5G construction, not only taking economic opportunities but also shaping their own technologies. Market forces should not be underestimated. Retreat is not an option for the nation as a whole. China is a strong supporter of free markets and a multilateral world. 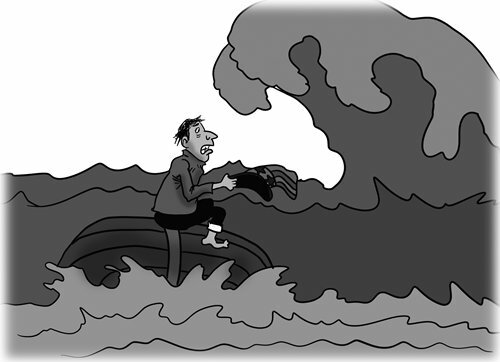 Giving up on international business is not China's intention, nor is it in China's best interests. Helping more countries in the world to improve their telecom services and obtaining a business interest is the direction Chinese technology firms are moving toward. Some people may fear that the 5G industry will suffer damage which may cripple the future of China's telecom industry. That is not the case. Policy swings occur in Western nations from time to time. Although China is suffering from some geopolitical pressure at present, we may see the situation reverse in the future, and Huawei, along with other Chinese telecom companies, is ready to rage on. One point which is very noteworthy is that the intelligence agencies and politicians rather than the local telecom carriers are the main voices calling for more restrictions on Chinese firms and Huawei 5G equipment. The local carriers demand high quality products, at a good price along with great service. Chinese manufacturers can provide equipment on those terms, with prices generally 30 percent lower than their overseas counterparts. Paying an extra 30 percent because of an alleged security issue is not in the interests of the carriers. As for the interests of the countries themselves, using cost-effective products and technology to best serve their network's users, is in their national interest as well. As a result, many countries may eventually realize pushing back against Chinese suppliers is not a good and viable choice. China has been opening up for several decades to foreign companies, so Chinese companies have no reason to give up business opportunities in overseas markets. Chinese companies are targeting global markets. Overreacting and retreat is not in our vocabulary. Temporary pressure and a few opportunities falling through cracks will not change the overall big picture. As time goes by, we believe, most countries will eventually become customers of Chinese high-tech companies. Strong headwinds will make Chinese companies grow even stronger.